Carry this luck charm with you always and it can bring you an abundance (or overflow) of good fortune, prosperity and success to your life and those that surround you. 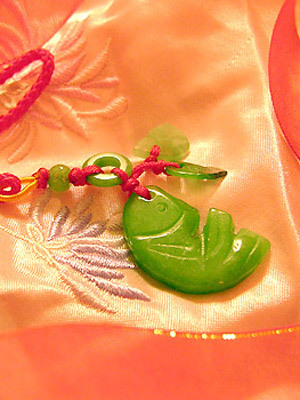 Hand carved jade or jade-quartz carp. A Lucky carp is a life filled with prosperity.